I love the challenge I get from tennis. I love the direct correlation between your effort and your results. That’s the same at every level – from juniors, to now competing with the best players in the world. It’s that competition that pushes me forward. There’s also a huge correlation between your physical and mental strength. When you’re strong physically, you have the mental strength to know you can keep playing, no matter how long the match lasts. If you know you’re in good shape, you have more confidence and freedom. The reverse is also true. If you’re mentally strong, if you keep feeding yourself good, positive information, then you move better, you trust yourself more. I turned pro in 2007, aged 21. But I first started playing when I was about six, my younger brother and I were coached by our dad. Growing up in South Africa, we were quite far from the tennis scene and that helped us develop a strong work ethic. By the time I was 17, I was abroad a couple of months of the year, playing in tournaments alongside the best players in the world. Then I went from juniors to the University of Illinois for two and a half years. That was a great place to work on my game and establish a base. It gave me a really good platform to play pro events. Growing up, Pete Sampras was my hero. I really looked up to his success, his consistency, his professionalism. And his desire to win. No surprise he held the Grand Slams record for so long. My aim is to win a Grand Slam. Especially having made the 2017 US Open and 2018 Wimbledon finals. They were my proudest moments so far in tennis. As a kid, you dream about winning a Grand Slam. So to have the chance to compete for two was huge. Unfortunately, in the Wimbledon final I fell one match short, against one of the best players of all time in Novak Djokovic. 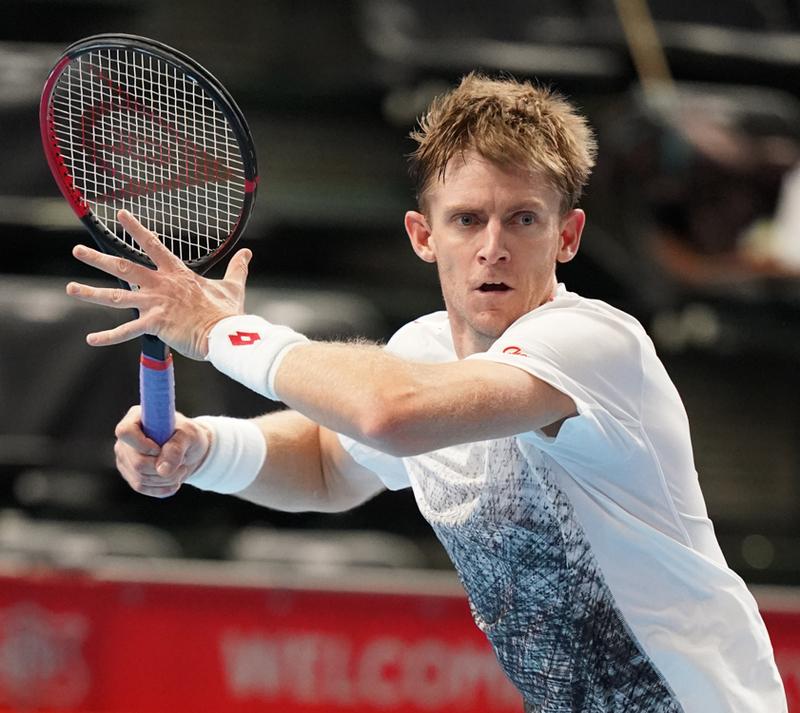 But it was a great two weeks, where I managed to beat Roger Federer and set a record for the longest semi-final at a Grand Slam, I overcame new challenges and I learned a lot that will serve me well in the future. My most important tip came from my parents – never be afraid of failure. You have to put yourself out there. My dad always said you only fail if you don’t give everything. If you work as hard as you can and do everything in your power, you’re a success. Even if you don’t achieve your goals. There are always disappointments and you learn to deal with them. But if you give everything, you’ll be proud of your achievements. But losing a match is always tough. There’s so much emotion, you work so hard. Ultimately you need to put things in perspective, it’s only a tennis match at the end of the day. My wife’s a great help. She understands I’m disappointed, but she picks me up and motivates me to try and do better next time. My wife’s traveled with me for the last five years. That’s a really big help. Having her on the road helps ground me. It can be tough living out of suitcases, being away from home, so having my companion with me really helps. This year we’ve added a dog to our entourage. She helps keep things in perspective. She’s excited to see me – win or lose. Hobbies help keep you grounded too. I’m into cricket, golf and playing the guitar. I’m South African and we’ve got a very proud cricketing heritage. So I love getting behind the Proteas (national team). I’ve also played golf for years. It’s something I share with my wife and her whole family. Her dad’s actually a pro golfer. I picked up the guitar about five years ago. As a tennis player you’re waiting around a lot. So I travel with a small guitar and it really helps me. The new CX 200 Tour 18x20 has been perfectly engineered for advanced players with big swings. 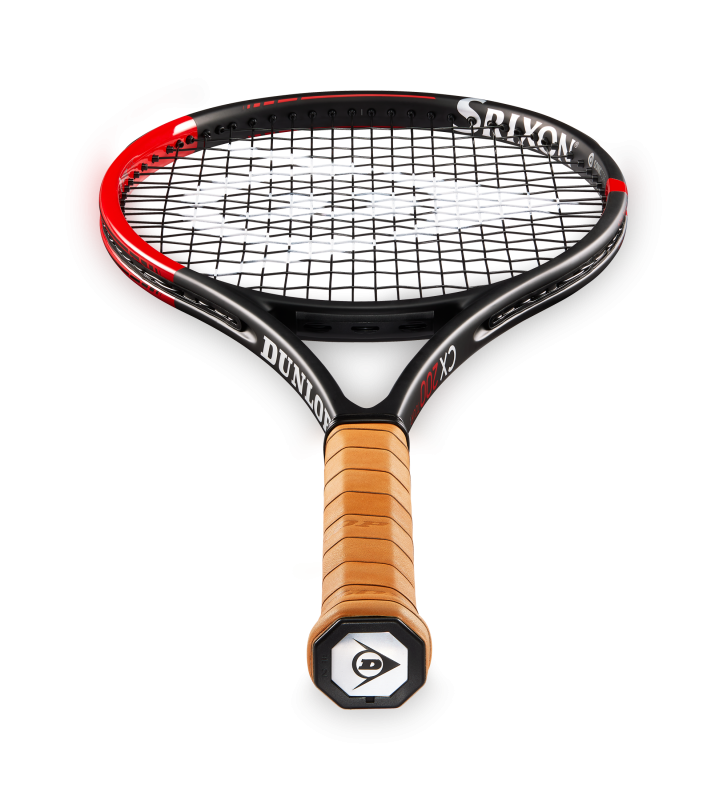 Ideal for modern day players looking for a larger sweet spot towards the top of the racket, resulting in explosive power, maximum control and more spin, but with reduced vibration and a lower impact shock, helping to reduce injury and letting you focus on your game.